Rising health costs can make it difficult for patients to receive the care they need, even with insurance. Direct primary care (DPC) is an alternative payment model that provides family physicians the opportunity to charge patients a monthly, quarterly, or annual membership fee that covers all or most primary care services. Compared to traditional fee-for-service insurance billing, DPC can provide patients with substantial savings and the freedom to visit their healthcare provider as needed without fear of their inability to pay. Learn more about direct primary care, its benefits, and how a benefits consultant can help get you the coverage that you need. Used in the U.S., direct primary care is a form of primary care payment arrangement made between healthcare providers and their patients. Instead of sending claims to insurance providers, patients pay certain visit fees or monthly fixed fees which gain them access to certain medical services, such as laboratory services, same-day or next-day appointments, and sometimes even house calls. Direct primary care physicians do not typically accept payment through insurance in an effort to avoid the high overhead fees and complex relationship with insurers. Most direct primary care providers work with their patients on the individual health market. However, others may partner with certain insurance companies or employers to give patients the option to receive all-inclusive primary care. Unlike traditional payment arrangements which require providers to bill for each individual service, physicians in a direct primary care model do not bill for each service which significantly cuts down on office staff expenses. 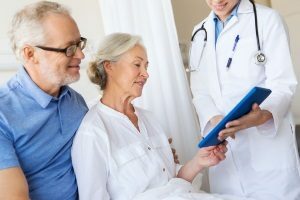 However, there are certain healthcare services that most direct care providers do not offer, such as more advanced testing and hospitalization. 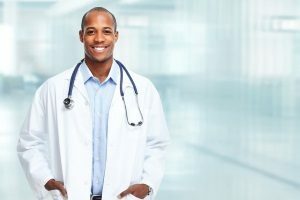 Direct primary care is an innovative healthcare alternative that allows patients and their healthcare providers to establish a closer professional relationship. In a traditional healthcare setting, it can be difficult to get an appointment. When you finally do have the chance to see your doctor, you may feel rushed as your provider hurries to see dozens of patients in a short timeframe. This can make it difficult for patients to feel like they are really getting the quality time that they need to explain their health concerns. The use of direct primary care can help eliminate many of these types of frustrations. When the insurance companies are out of the picture, healthcare providers are able to spend more individual time with each patient. As insurance claims do not need to be made, there is significantly less paperwork and fewer staff members are needed to keep up with the demand. With direct primary care, patients can actually schedule a same-day appointment and get to the bottom of their health problems before they get worse. Becoming a member of a DPC can also reduce stress for patients who may be worried about paying their medical bills and having a slew of tests done. One of the biggest advantages of direct primary care is its ability to save you money. Through DPC, a monthly retainer is paid that covers doctor visits and any services that were rendered. This retainer is the same amount each month no matter how many times a patient makes a visit to their doctor’s office. This can result in significant savings for patients. Many direct primary care providers also offer their patients the same perks as insurance-based practices, such as discounts on lab work and prescriptions. These savings can also add up quickly resulting in more money in your pocket. 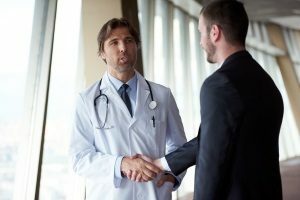 As an emerging direct primary care model, DPC typically contracts with self-funded or self-insured employers who provide direct primary care as an option for employees seeking free or greatly reduced office visit fees. As employees are able to see their healthcare provider more quickly due to same-day and next-day visits, workers’ health concerns can be treated more swiftly which reduces the number of sick days needed and the decrease in productivity illnesses often cause. In some instances, DPC practices offer email addresses or phone numbers to providers allowing employees the chance to seek medical advice without having to leave work. One of the biggest reasons that many people are turning to direct primary care is the downfalls that come with fee-for-service models. On average, it takes about 20 days to make an appointment with a fee-for-service primary care physician. Once the patient arrives, there is an average wait time of 20 to 40 minutes before getting into the exam room where patients are made to wait even longer. Once the provider finally arrives, the average visit lasts only 15 minutes. While this short amount of time may be fine for minor issues, such as a sprained ankle, it can be too short for more complex problems. While direct primary care can certainly be used on its own, it does not necessarily need to replace your primary health insurance. In fact, it is often recommended that patients have some other form of insurance to protect themselves in the event of a true emergency. Direct primary care is designed solely for primary care services and does not cover most emergency healthcare services such as surgeries, trips to the emergency room, or serious injuries that require prompt and complex treatment. Direct primary care is quickly becoming the go-to option for combating rising healthcare costs while maintaining a high quality level of care. Partnering with providers who offer direct primary care can be highly beneficial for all involved, especially if you are trying to cut costs. For more information about direct primary care, speak with experienced benefits consultants in your area today.